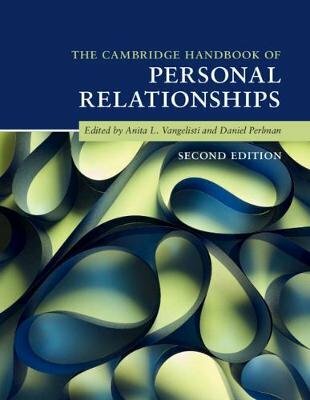 With the field of personal relationships having grown dramatically in the past quarter century, The Cambridge Handbook of Personal Relationships, Second Edition serves as a benchmark of the current state of scholarship, synthesizing the extant theoretical and empirical literature, tracing its historical roots, and making recommendations for future directions. Written by internationally known experts from key disciplines, the Handbook addresses both fundamental questions and cutting-edge concerns. This second edition has been thoroughly updated to reflect recent developments in analytical techniques, shifts in theoretical emphases, and an increased attention to social processes. New chapters include the Neuroscience of Salutary Close Relationships; Self-Disclosure in Relationships; Acceptance, Rejection, and the Quest for Relational Value; Relationships and Physical Health; Personal Relationships and Technology in the Digital Age; and Promoting Healthy Relationships. This compendium of state-of-the-art research and theory on personal relationships will be of great value to researchers, graduate students, and practitioners.